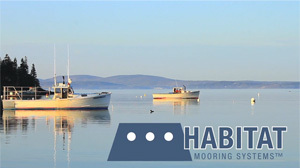 Habitat Mooring Systems is a part of The Wind Reef Group, LLC, a company that was formed in Orono, Maine in 2009 by Stewart Hardison and Dr. Ian Bricknell. The company was founded on the concept of a scalable habitat mooring system that could serve a variety of end-use applications – from large, ballast filled silos for mooring offshore wind turbines, to smaller units of cast concrete for mooring vessels in harbors and near-shore areas. Starting in 2010, The Wind Reef Group started working closely with Dr. Bob Bayer at The Lobster Institute to develop a general utility mooring that could also provide lobster habitat. This collaboration resulted in the HMS 4000. First deployed in July, 2010, the HMS 4000 is now commercially available through Hamilton Marine. The collaboration with The Lobster Institute continues. Moreover, The Wind Reef Group is proud to contribute up to 10% of sales to support the mission of The Lobster Institute. A native of North Carolina, Stewart attended Emory University in Atlanta before moving to the Blue Ridge Mountains of his home state, where he lived for several years in the early 1970’s and contributed freelance articles to the state wildlife magazine. After several years in the Blue Ridge, Stewart made his way to New York City. For a period of fifteen years, he worked at several advertising agencies, including Foote, Cone & Belding; Warner, Bicking & Fenwick and Rapp & Collins. When Stewart left the advertising game, he was a Senior Copywriter at Wunderman Worldwide, the direct mail arm of Young & Rubicam. Upon leaving Manhattan, Stewart followed his lifelong interest in nature and the environment and moved to upstate New York. With his wife Kathy, he settled in rural Chenango County and started a small company that manufactured and marketed bird feeders and garden related products. A self-taught inventor, Stewart designed, patented and registered a number of products that were sold nationally under such trade names as Iron Silo, Hang-It-All, and Birds Only. In time, a number of his products were sold in virtually all the major retailers, including The Nature Company, Lowes, Home Depot, Target, Wal-Mart and Sam’s Club. In the late 90’s, Stewart sold his company and the product line to Perky-Pet Products Company of Denver, Colorado (now Woodstream Corporation). For the past five years, Stewart has closely followed what he sees as the convergence of three issues of national importance: climate change, energy transformation and food security. Ever the inventor, and long fascinated by the huge potential in offshore wind, Stewart has now designed a product that he believes speaks to each of these three issues—the Habitat Mooring System. Stewart travels frequently to Maine, but lives with his wife Kathy and teenage daughters Nicole and Elizabeth in Oneonta, New York. Dr. Bricknell has been chief scientist with The Wind Reef Group since its inception and worked closely in the creation of HMS 4000. Dr. Bricknell comes from North London, in the United Kingdom. Ian initially trained as a medical microbiologist working for the Public Health Laboratory Service, where he received extensive training in human immunology and parasitology. In 1983 he went up to university to read zoology and geology at the University of Reading, under the tutelage of the late Dr. L.B. Halstead, graduating with first class honors from there in 1986. During this time he was elected president of the Zoological Society of Reading University and published the first of his 100+ research papers on the diseases of fossil elephants. From Reading University Dr. Bricknell moved to Lancaster University to read for his Ph.D. Here he studied under Prof. W.T.W Potts researching the impact of acid rain on the biology of upland rivers gaining his Ph.D. in 1990. In 1991 he was awarded the Modern Geology Young Geologist of the Year Award for his work on wooly mammoths at the annual British Association for the Advancement of Science meeting. In 1989 Dr. Bricknell was offered the position of Higher Scientist at Fisheries Research Services (FRS) in Aberdeen in the fish immunology group with Dr. A.E. Ellis as his mentor. Here he worked in the field of fish health developing fish vaccines and new and improved diagnostic methods for the detection of disease in wild and farmed fish. During his first three years at FRS he filed two patents on fish vaccination and improved diagnostic tests on behalf of the Secretary of State for Scotland. In 1993 Dr. Bricknell was promoted to Senior Scientist and in 1999 to Principal Scientist, becoming head of the Immunodiagnostics Department. Ultimately serving on many national and international committees and councils. Including being elected to the Chair of the International Council for the Exploration of the Sea’s Mariculture committee (term of Office 2005-2008) and received the ICES presidential Service Award in 2008, he has also served on the Norwegian Research Council’s Aquatic Sciences Committee. In 2007 Dr. Bricknell accepted the post of Libra Professor of Aquaculture Biology at the University of Maine and in 2009 was appointed as the first Director of the Aquaculture Research Institute. Since arriving in the USA he has established a new aquatic animal disease research group. He has expanded his research interests to include lobster health and he is committed to helping the working waterfront in Maine to ensure a sustainable and dynamic aquaculture industry in Maine. Ian lives in Hampden, Maine, with his wife Sue, an old greyhound called Jack, a much younger collie cross called Keira, three cats and a lot of books. The Lobster Institute is lead by Executive Director Robert C. Bayer, Ph.D. Dr. Bayer is a tenured professor of Animal & Veterinary Sciences at the University of Maine and has been involved in lobster research for over 30 years. Cathy Billings, MPA is the Associate Director for Communications and Development, and has been with the Institute for over 10 years. The Institute is a non-profit, non-governmental organization that conducts and facilitates research related to lobsters (primarily Homarus americanus) and the lobster fishery…and provides information and consultations to those in businesses that rely on the lobster resource. Based at the University of Maine in the United States, the Institute has been working with and on behalf of the lobster industry for over 20 years. It has become the central clearinghouse for lobster information and a major channel for communication among harvesters, dealers, pound owners, processors, scientists, and resource managers throughout the world. It is a primary liaison between the industry and scientists, both at the University of Maine and internationally. The Institute is the only industry-wide organization of its kind—one that brings together fishermen and other members of the industry; scientists; resource managers; and community members to share information, discuss issues, and define research priorities. Collaboration has been a hallmark of the Lobster Institute since its inception. The Institute provides a means for all interested parties to work together toward a common goal, and links industry expertise with academic resources to solve problems and face challenges together. Its Board of Advisors is comprised of over 24 members of the industry and coastal communities from throughout New England and the Canadian Maritimes. 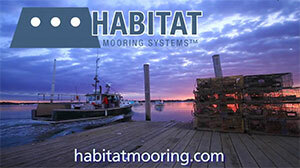 The Lobster Institute is truly industry-driven and responds to the needs of the fishermen. It has no political agenda, no regulatory authority…and is motivated only by its interest in a healthy lobster population and a successful, prosperous fishery.